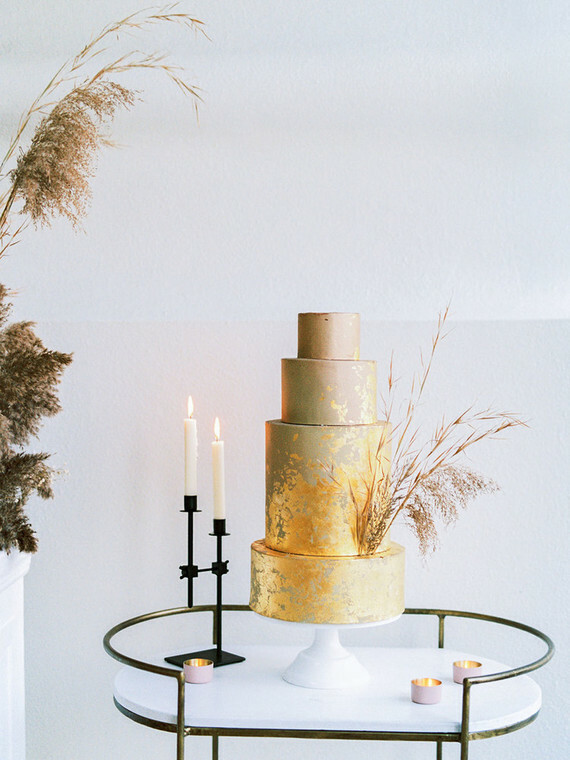 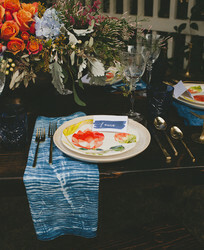 Now this is how you do modern bohemian. 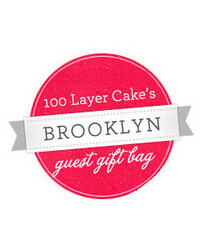 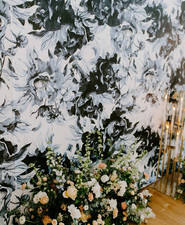 Jill of Modern Love Event says, Did you know that Troy of Backup Backdrops made seven custom walls for our vendors?! 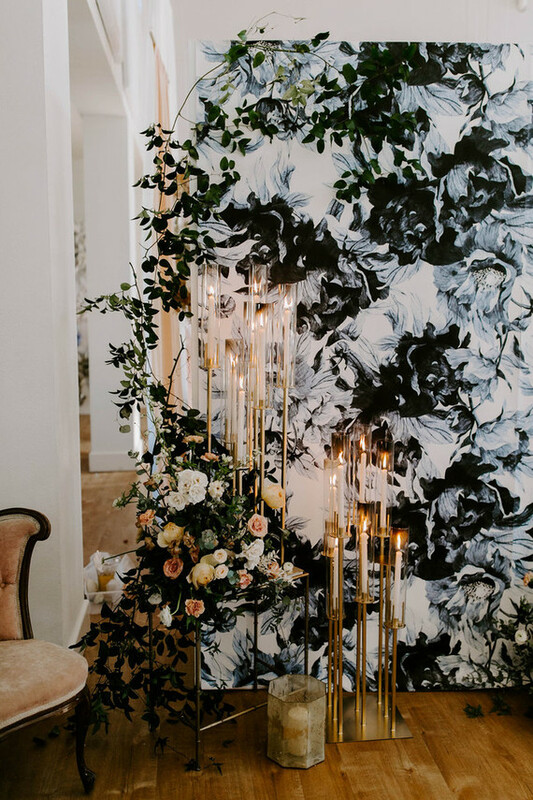 We realized that in order to carve out intimate spaces for each designer, we would need some kind of backdrop for them to work off of. 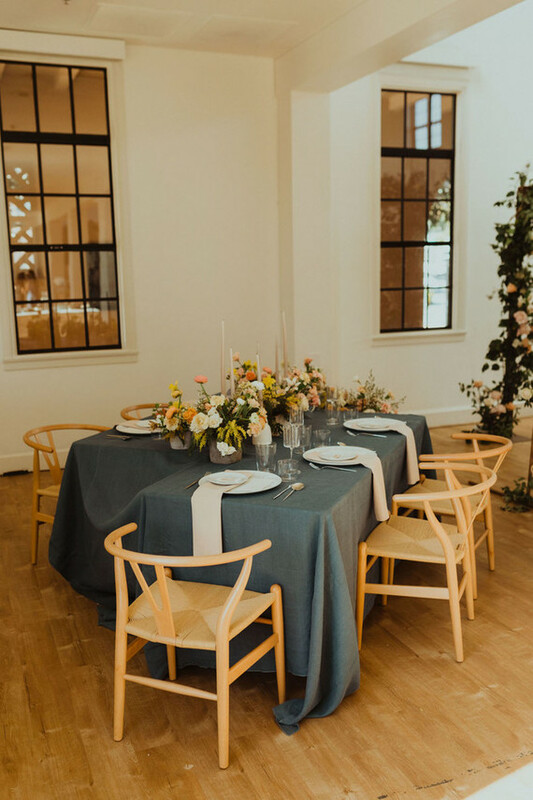 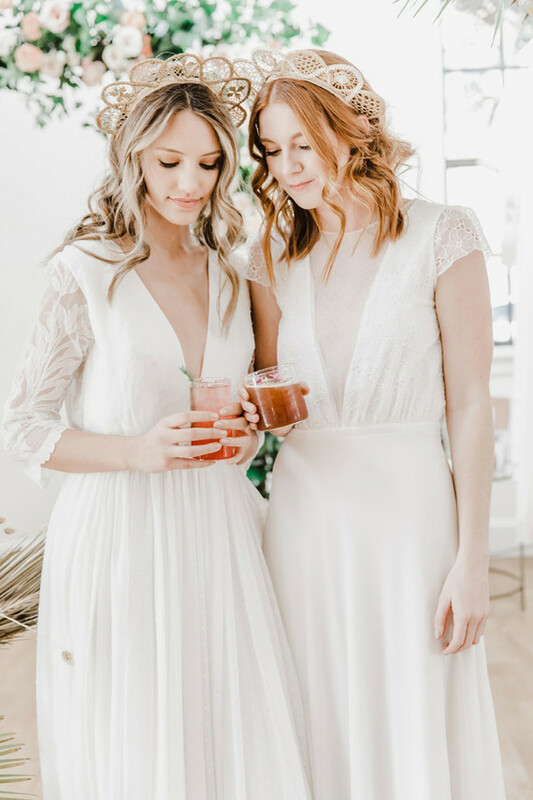 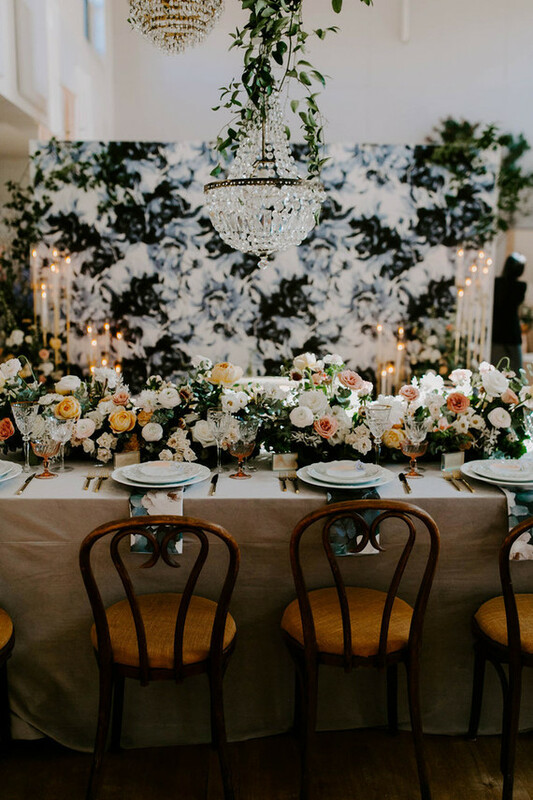 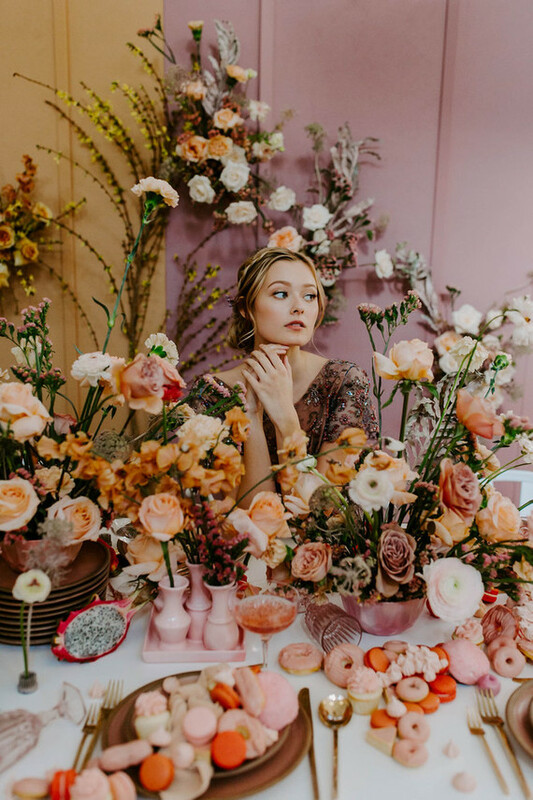 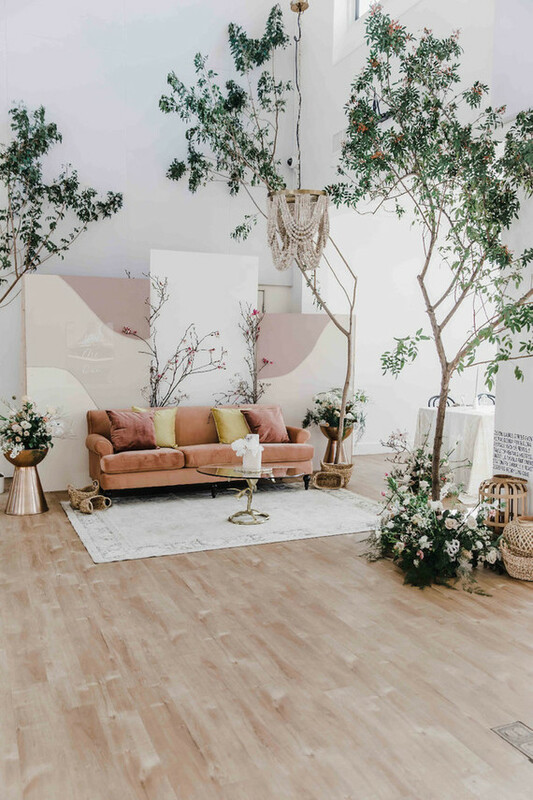 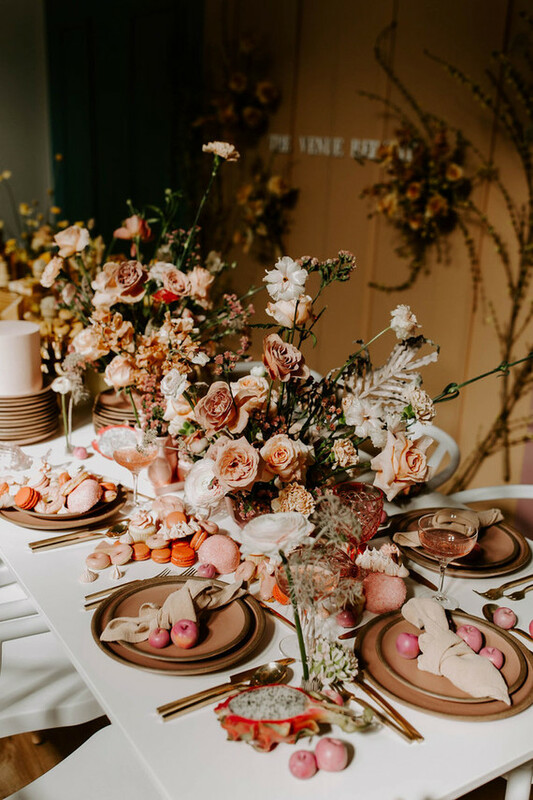 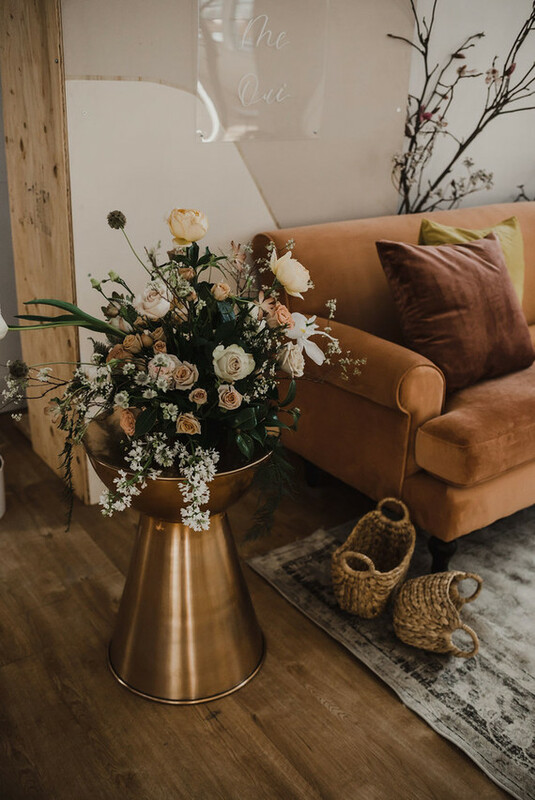 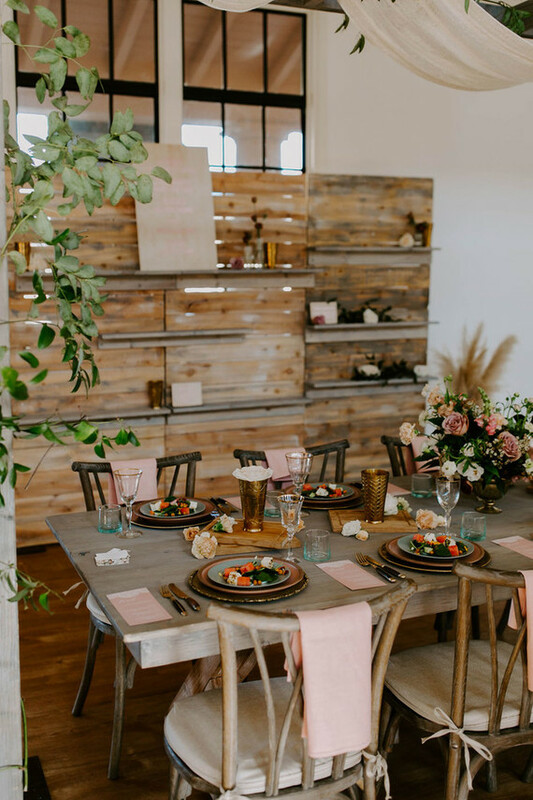 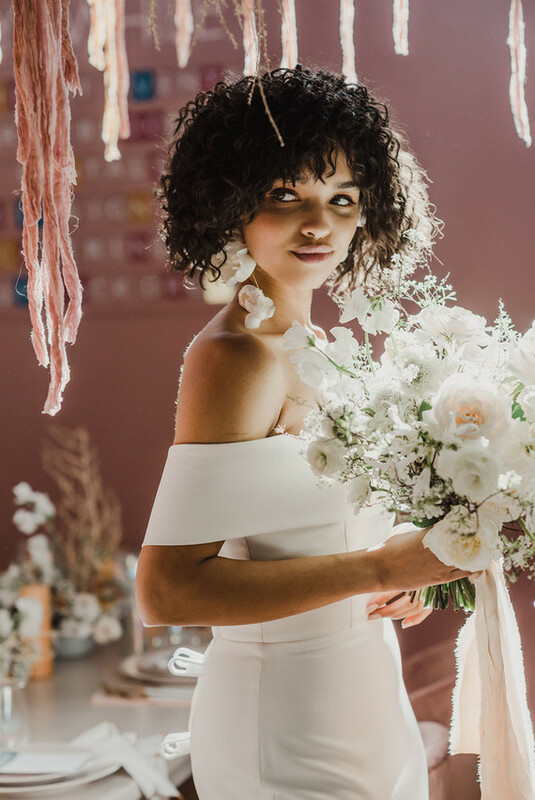 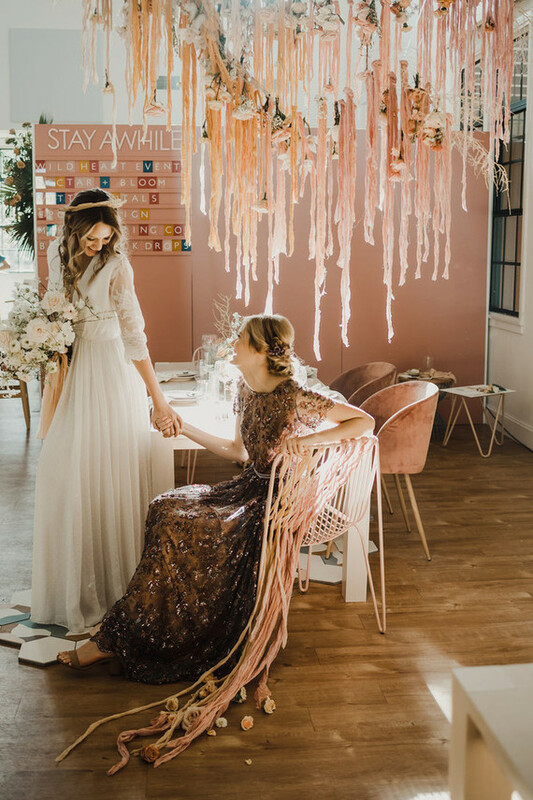 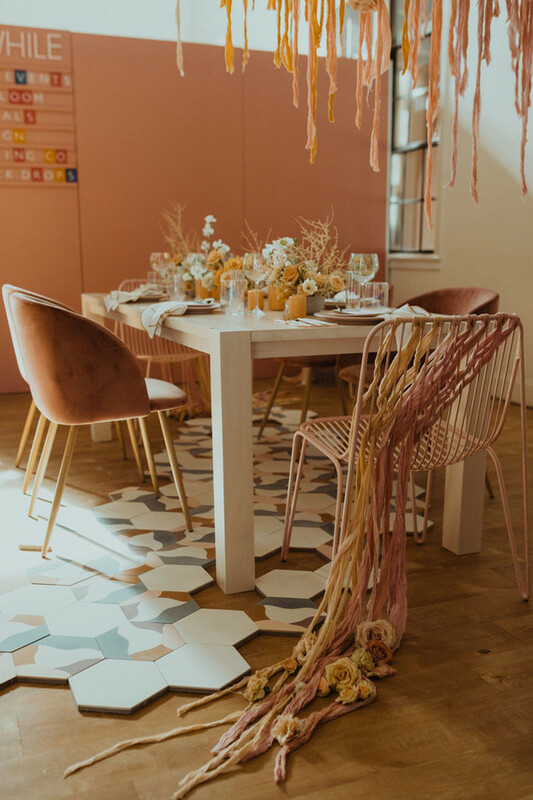 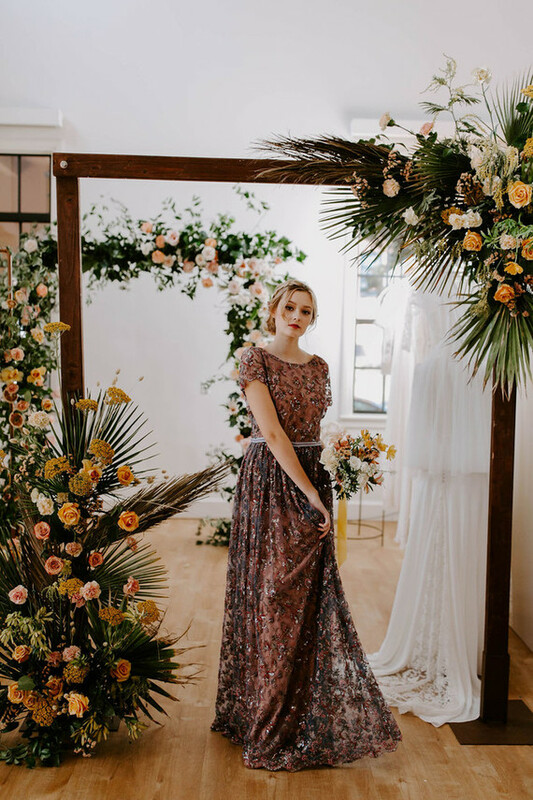 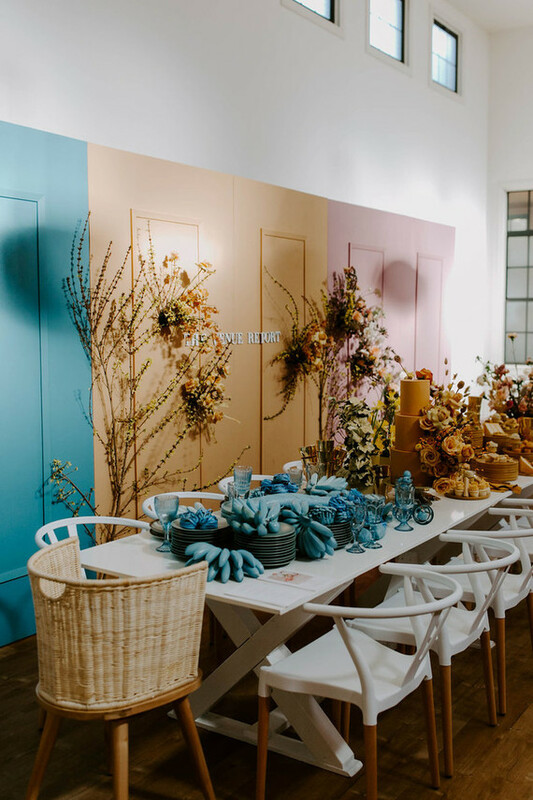 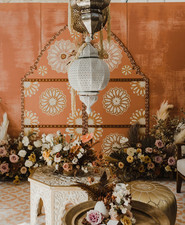 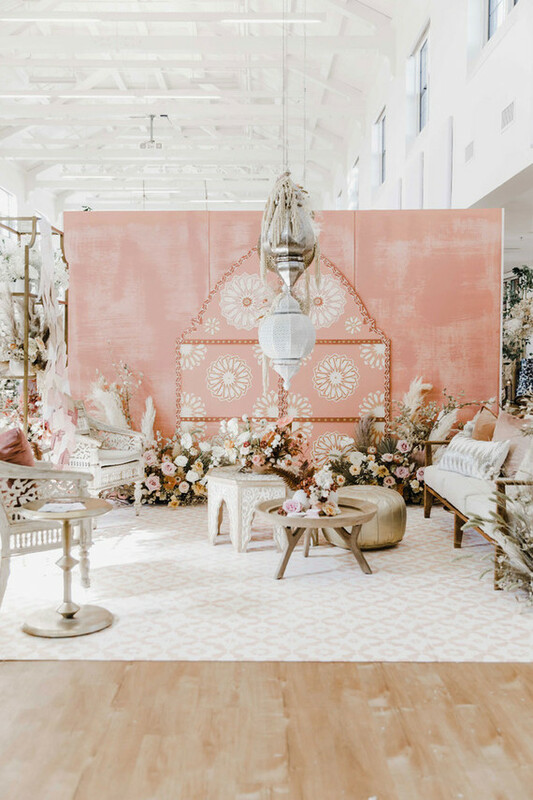 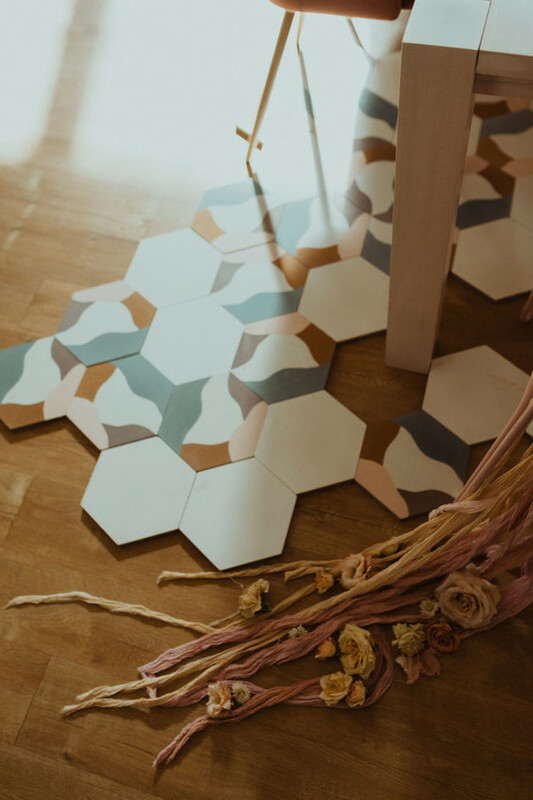 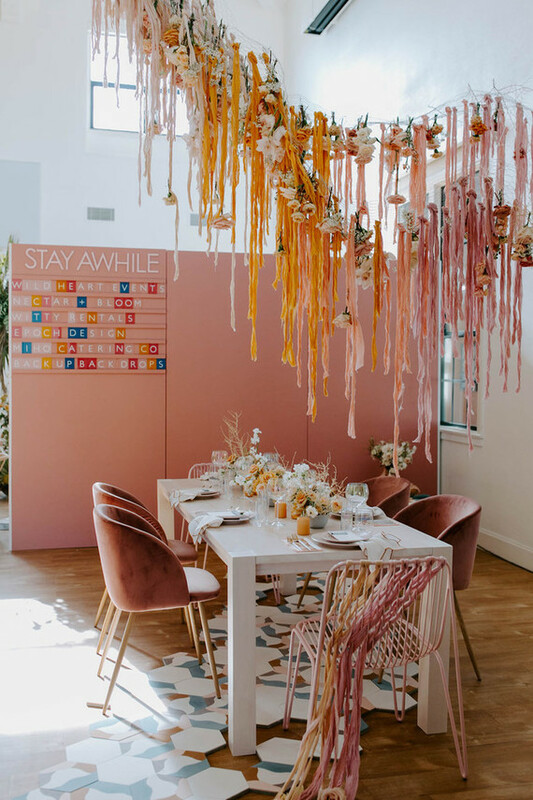 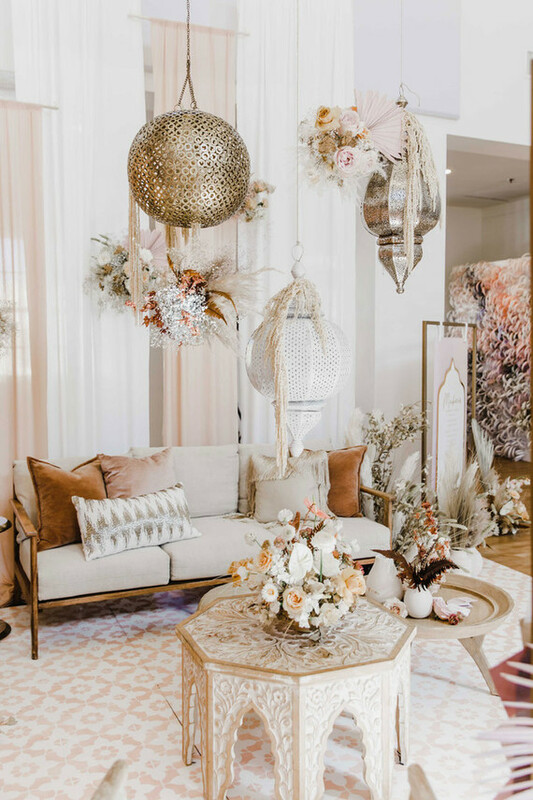 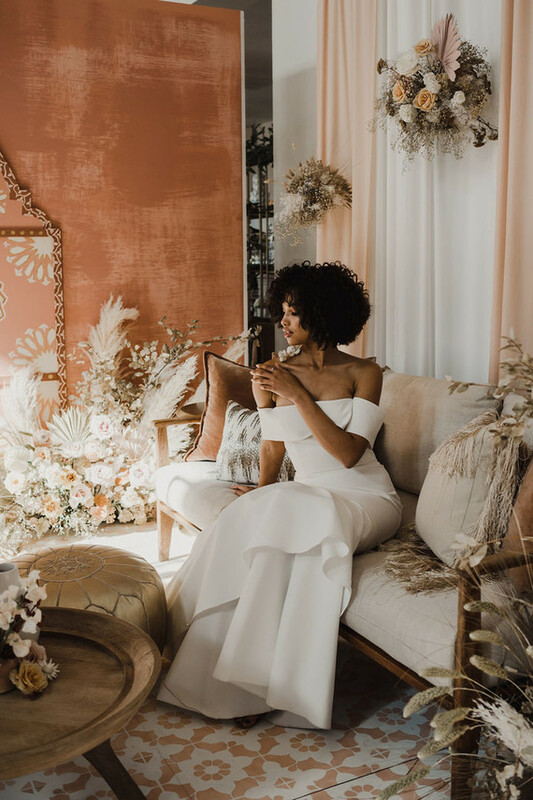 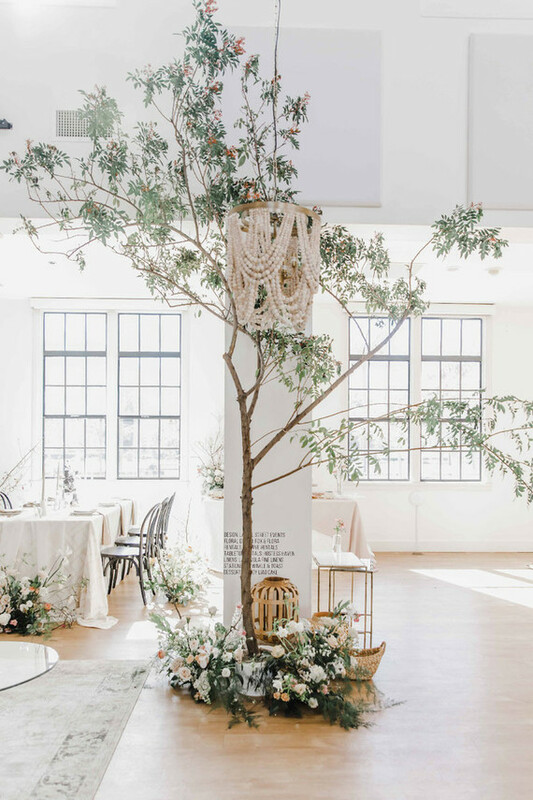 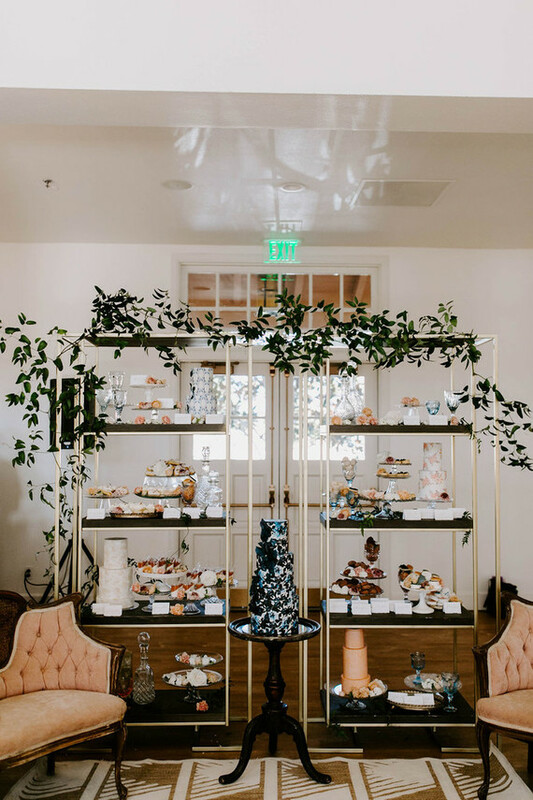 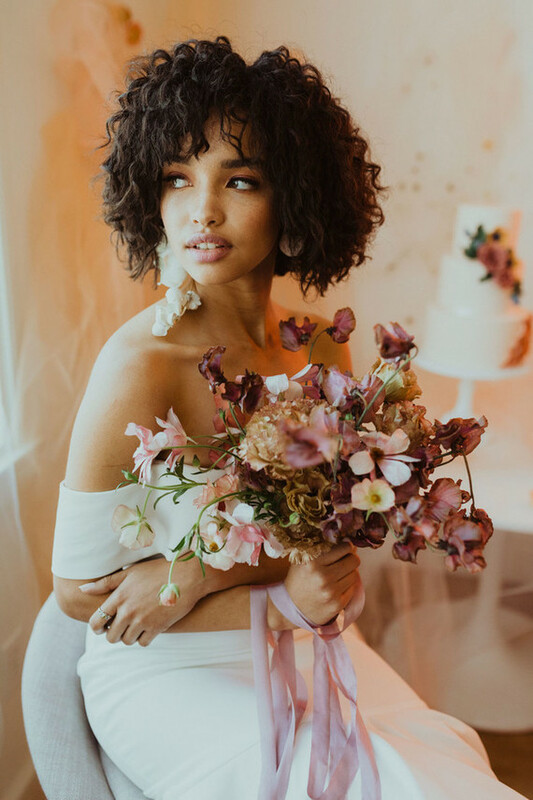 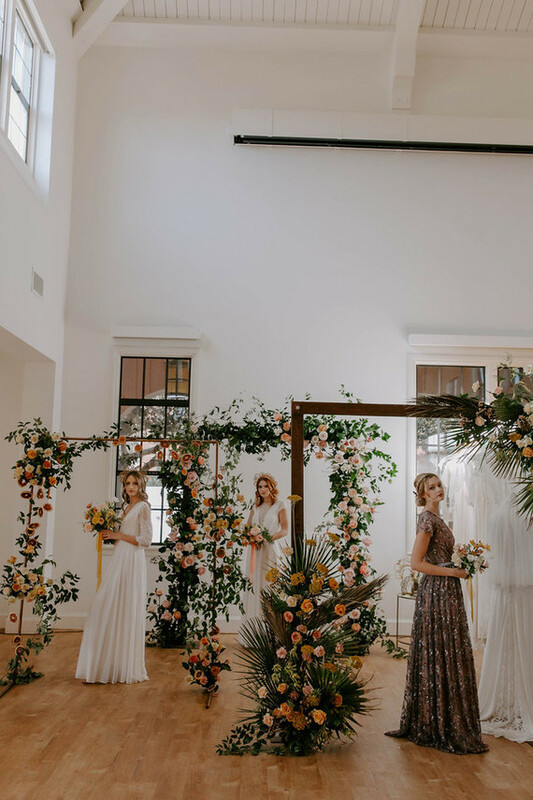 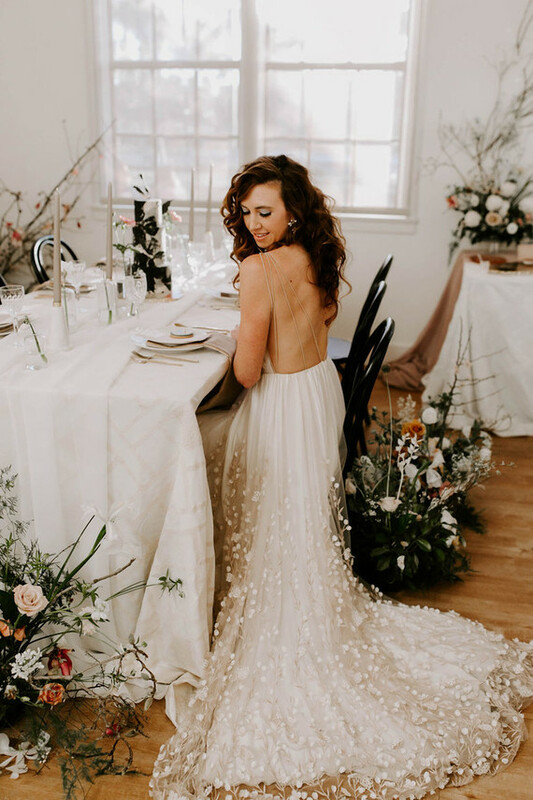 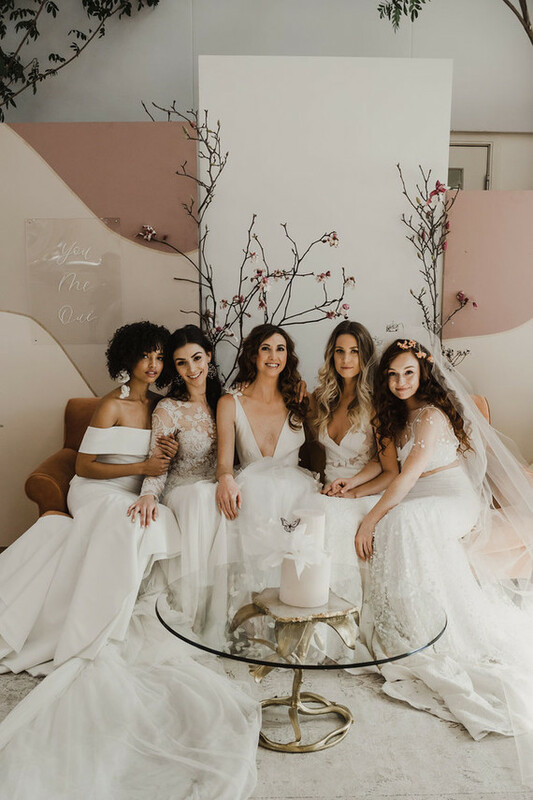 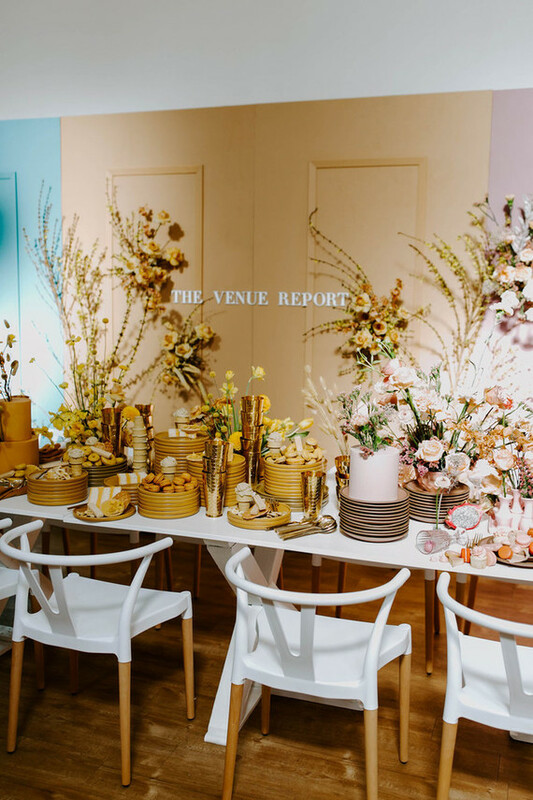 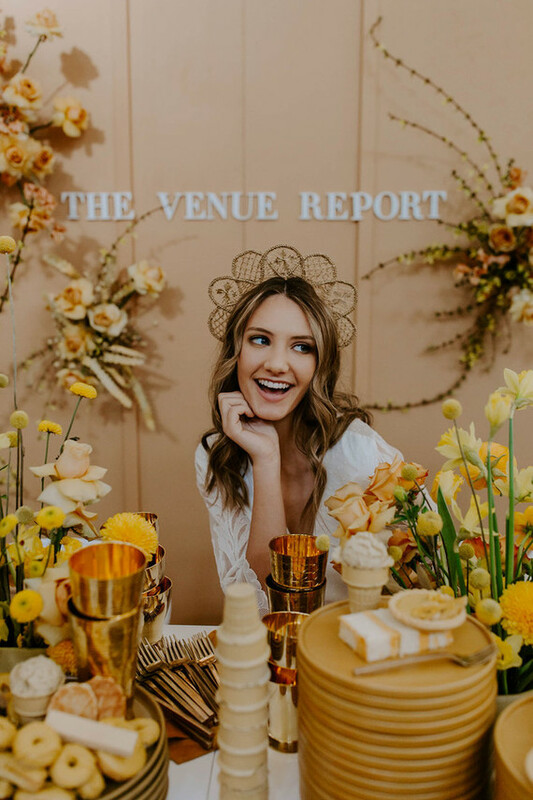 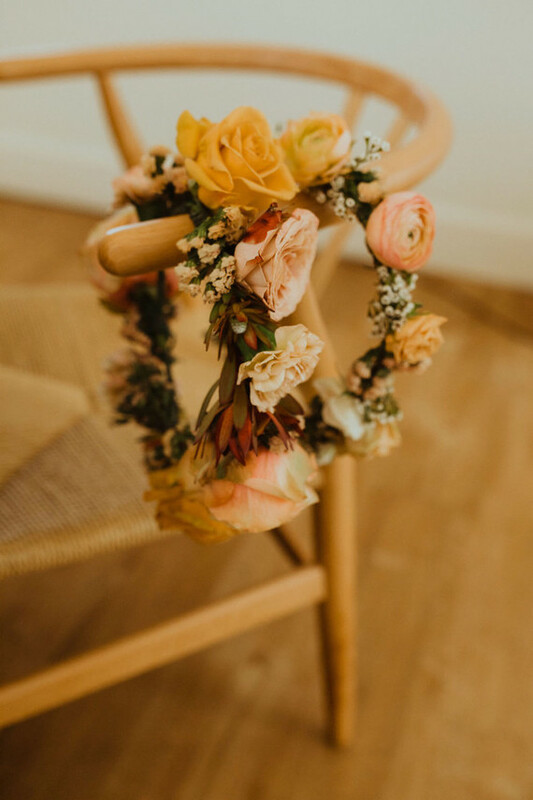 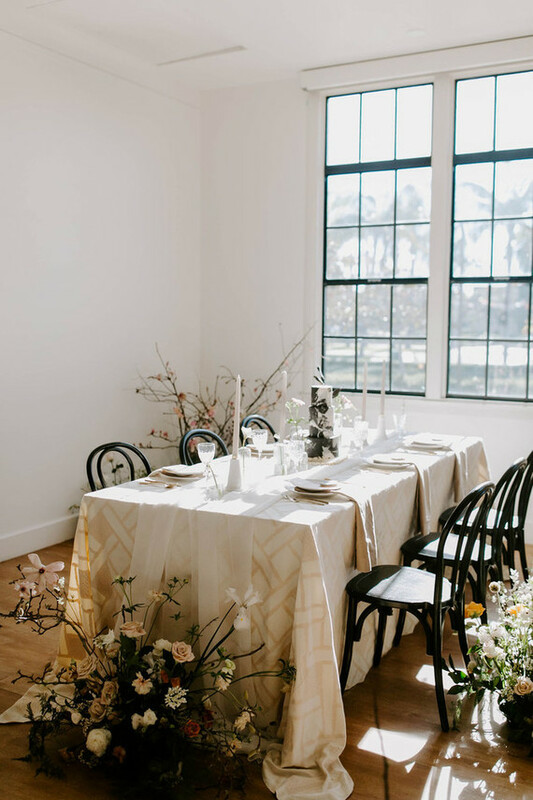 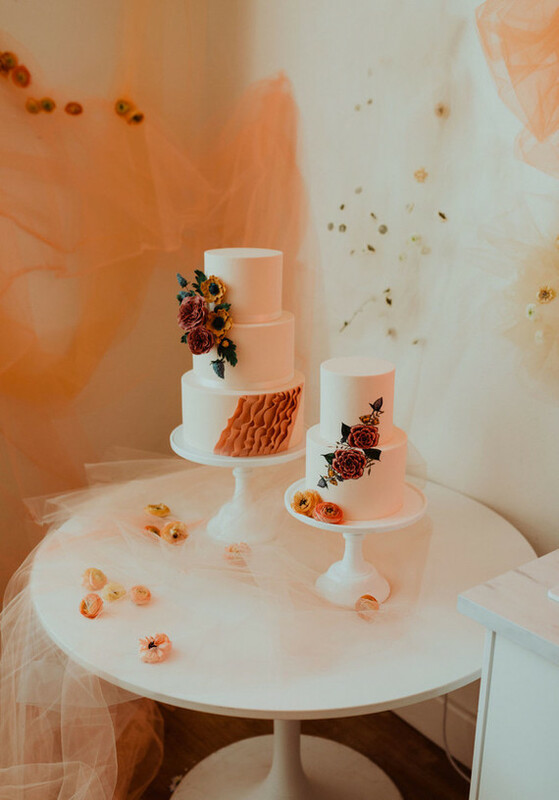 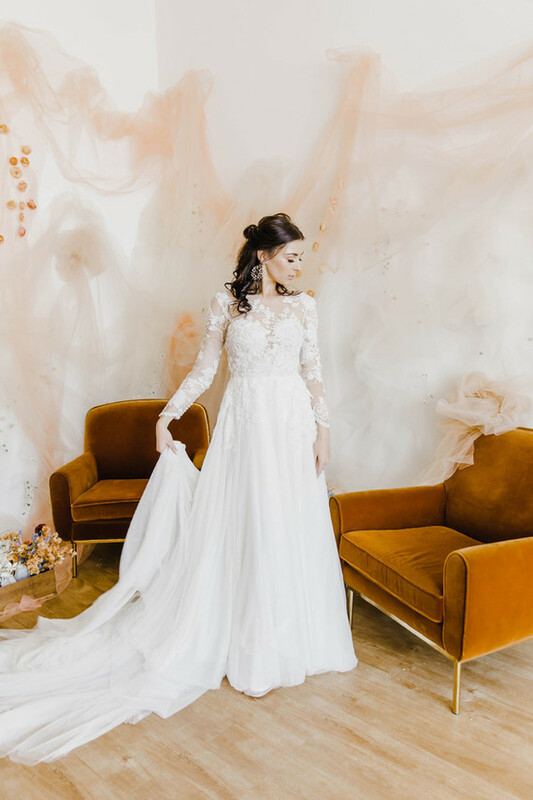 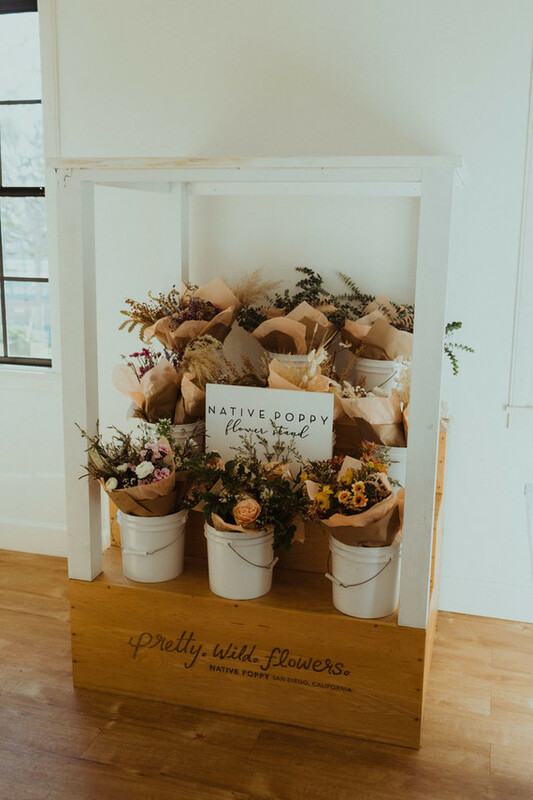 He collaborated directly with each design team and created walls for The Venue Report, Ashley Renuart’s photobooth installation, Fawn Events, Luxe Events, Wild Heart Events, Luna Wild and Barçon’s Bar! 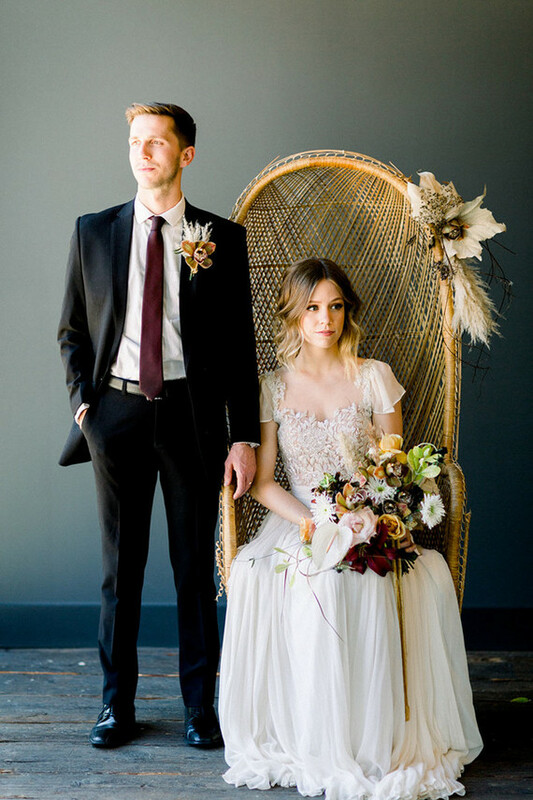 The Dress Theory brought in some killer gowns. 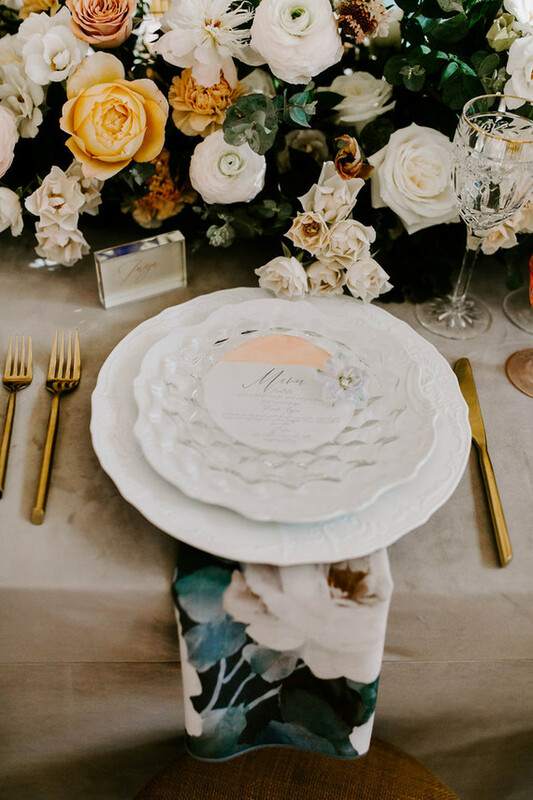 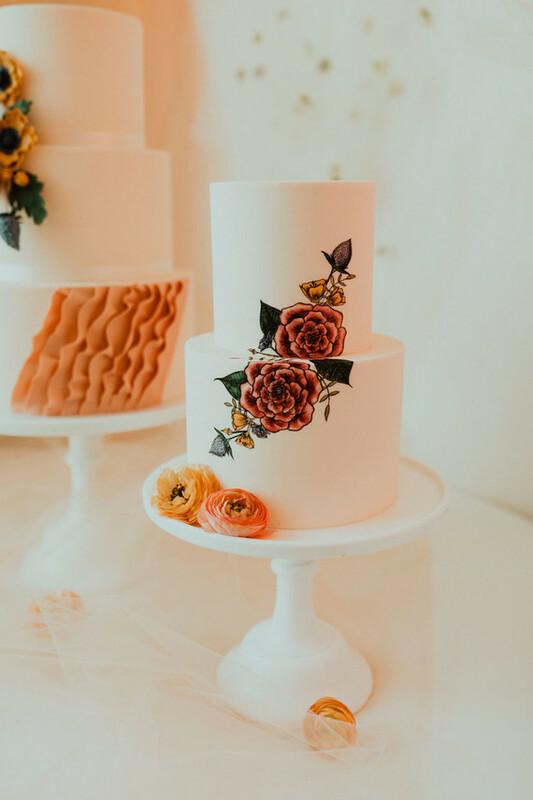 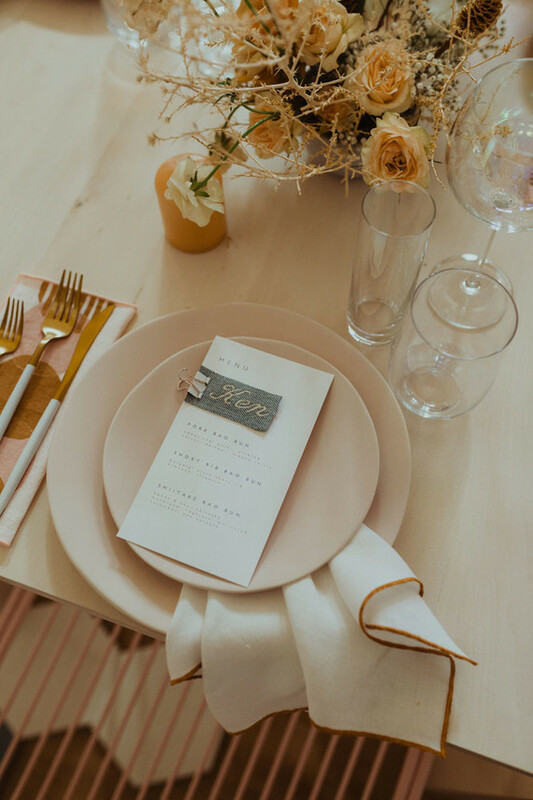 It’s always tricky to display a calligrapher’s work outside of printed menus or laying out an invitation suite, so when Twinkle and Toast and the ladies of Fawn Events came up with this ombre envelope installation, we were ALL about it! 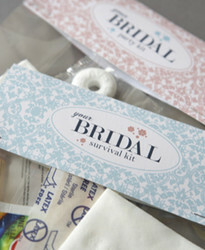 What a great way to see how beautiful hand addressed envelopes will look for your own wedding invites. 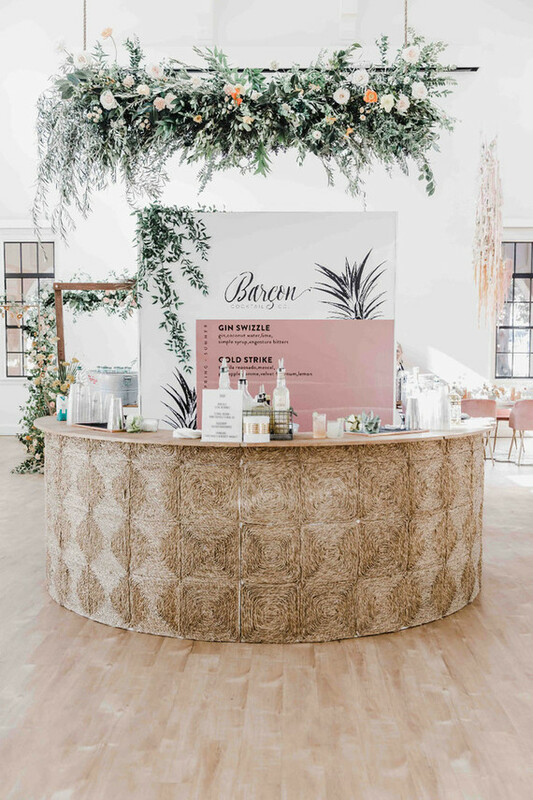 We knew we wanted to make a statement with the bar and so To Be Designed offered up their round bar so guests could enjoy cocktails from all sides. 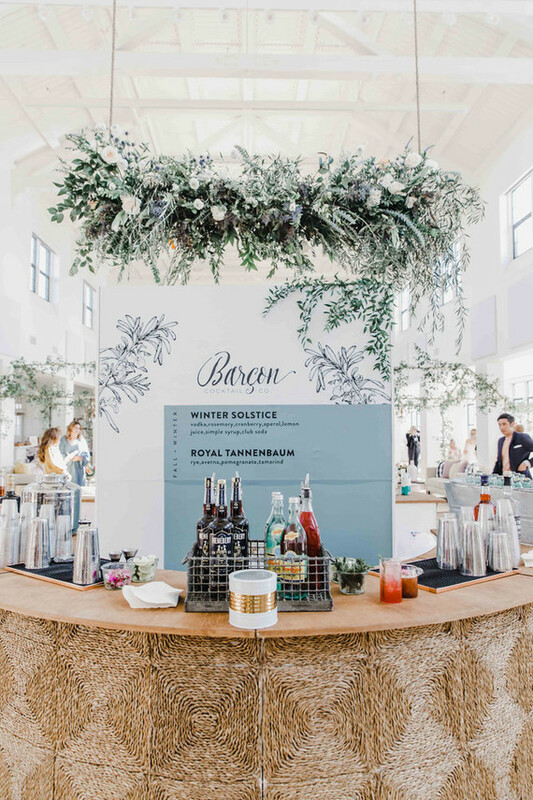 This brilliant idea of going seasonal with the bar was all Juan of Barçon Cocktail Co’s idea. 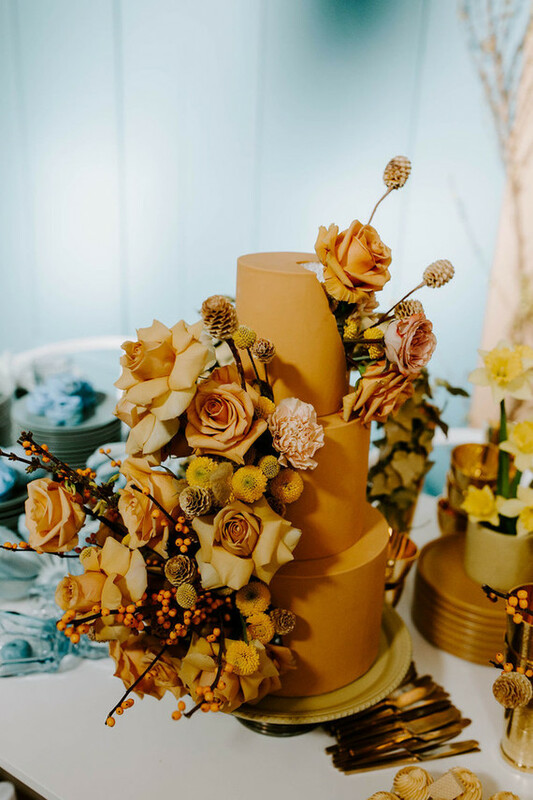 One side Spring/Summer with corresponding menu and florals and the other was Fall/Winter. 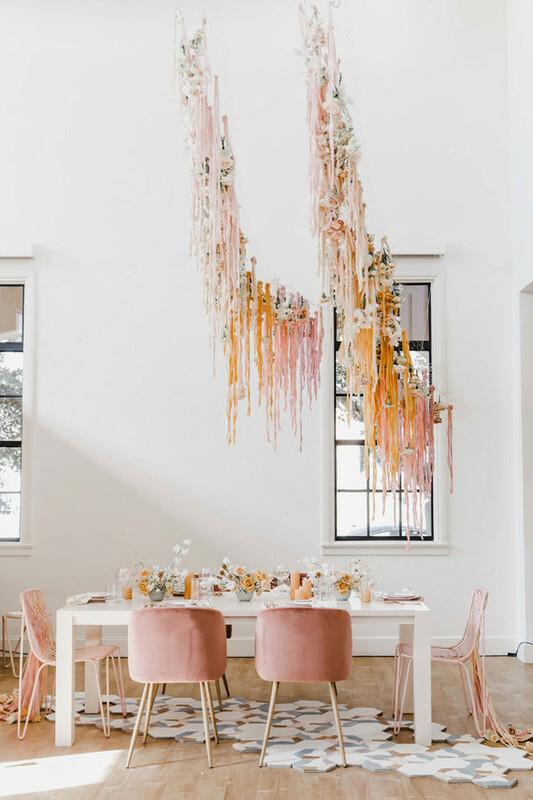 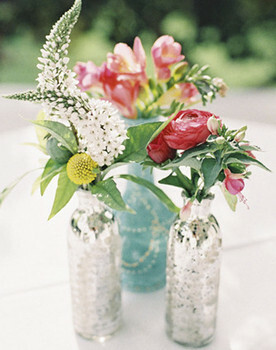 How fun would this be at a wedding?! 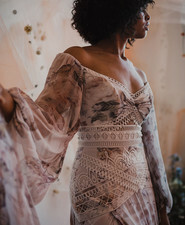 We love having the unique twist of Christina Sfez’s collections for our event. 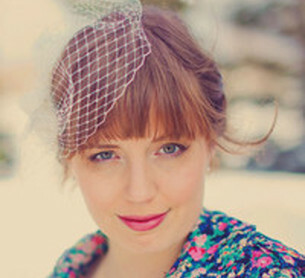 The showstoppers were definitely the purple beaded number and these gorgeous crowns she sells that are made in Spain. 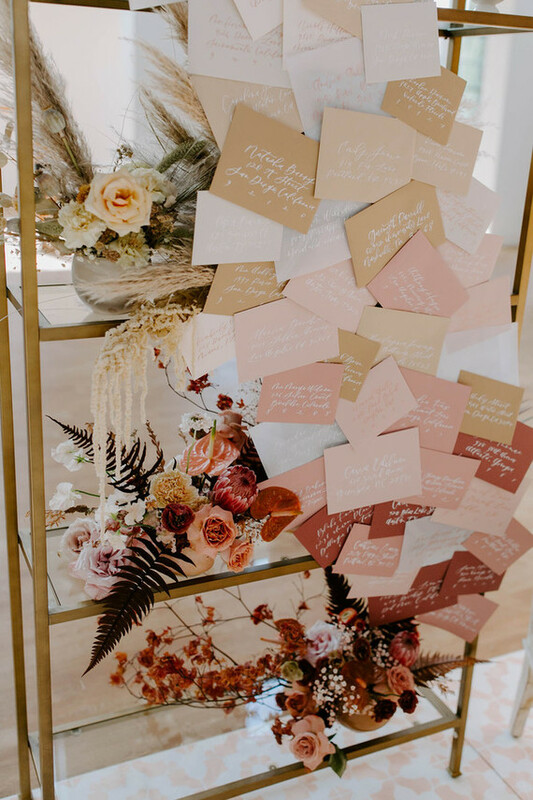 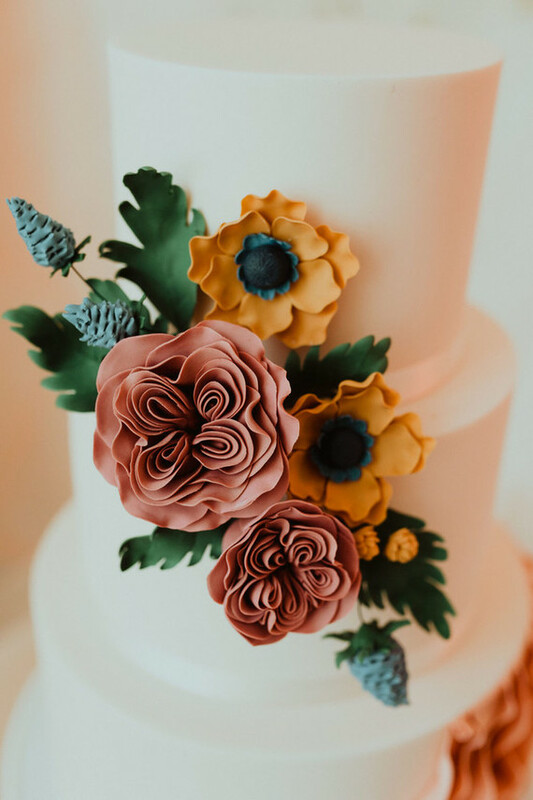 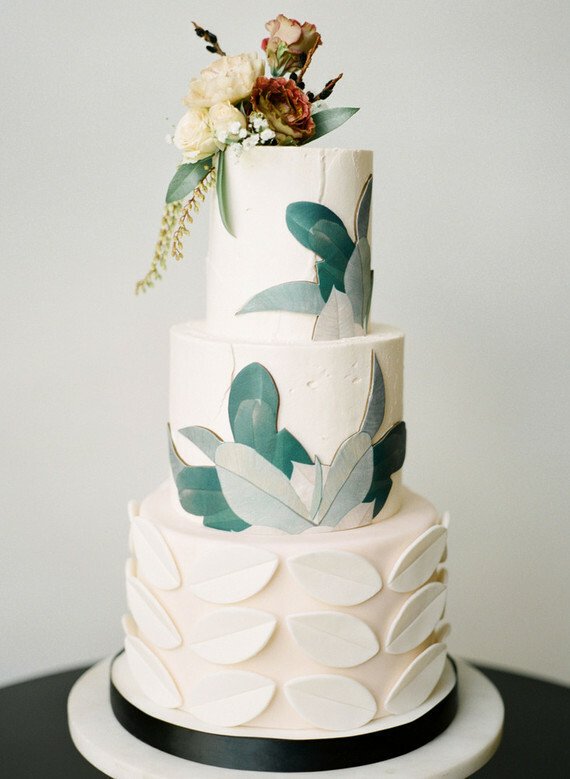 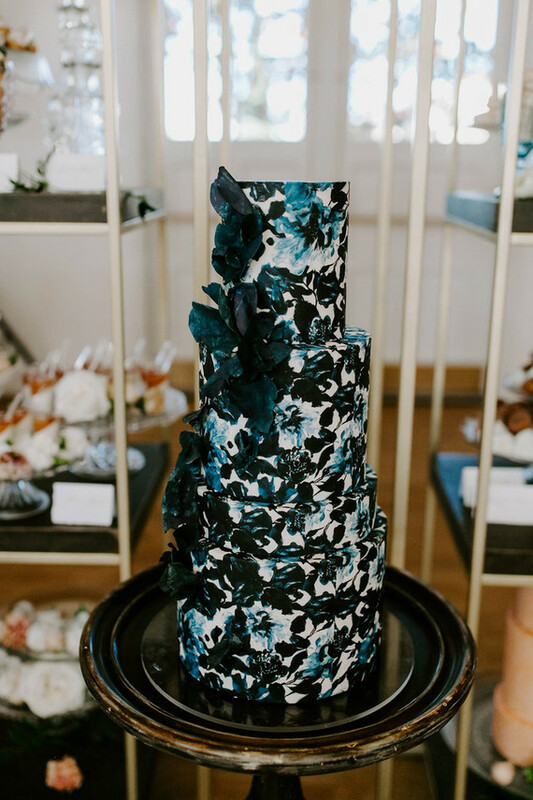 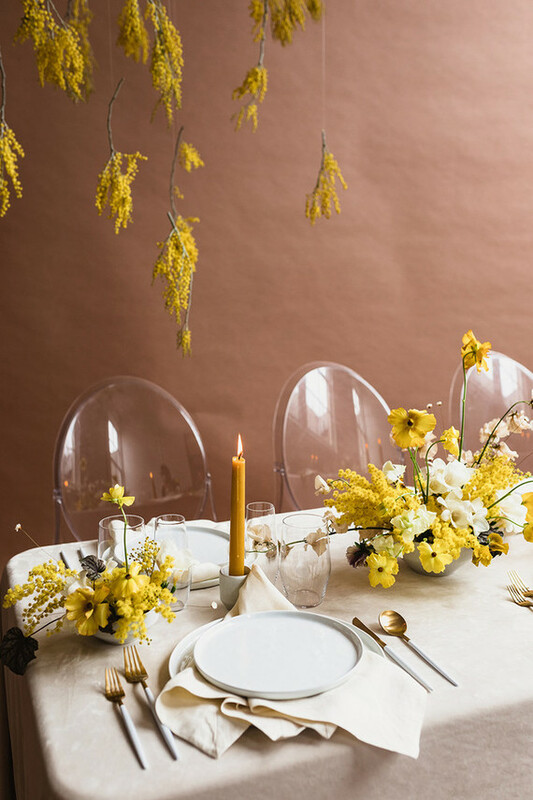 Pretty much sums up the wedding colors of the year, doesn’t it? 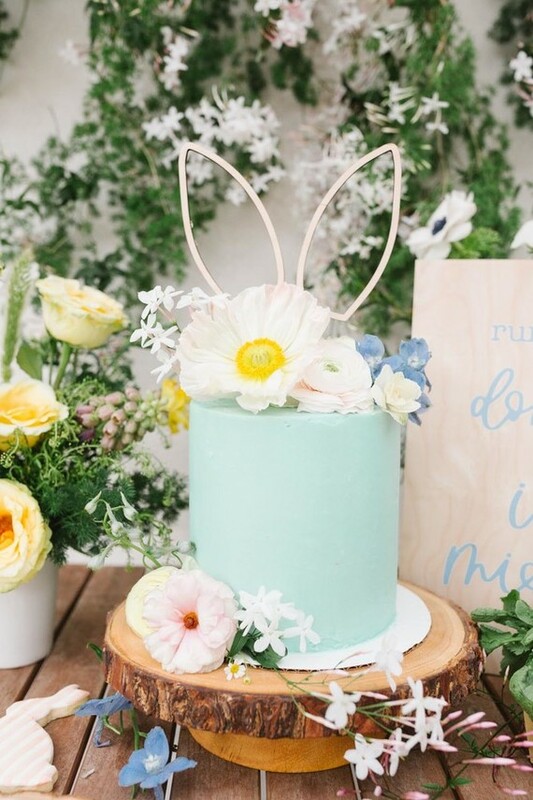 It’s so tough to make light blue look new and fresh. 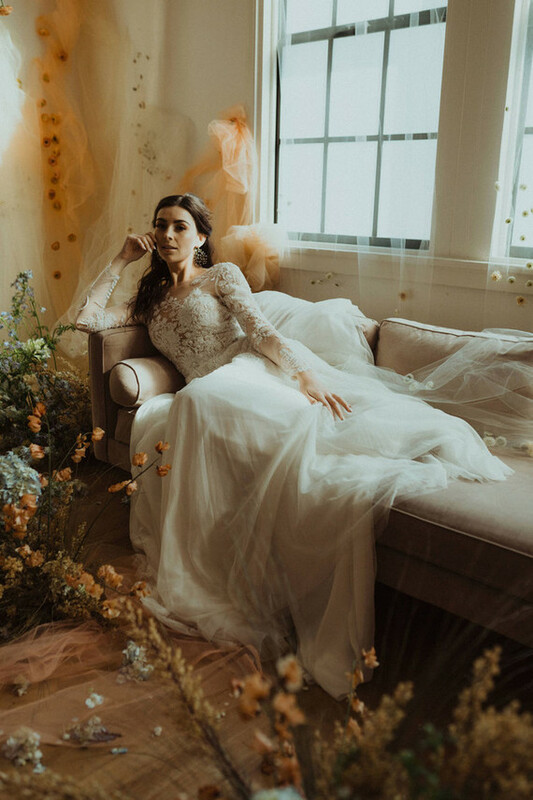 This elegant, moody vibe nails it. 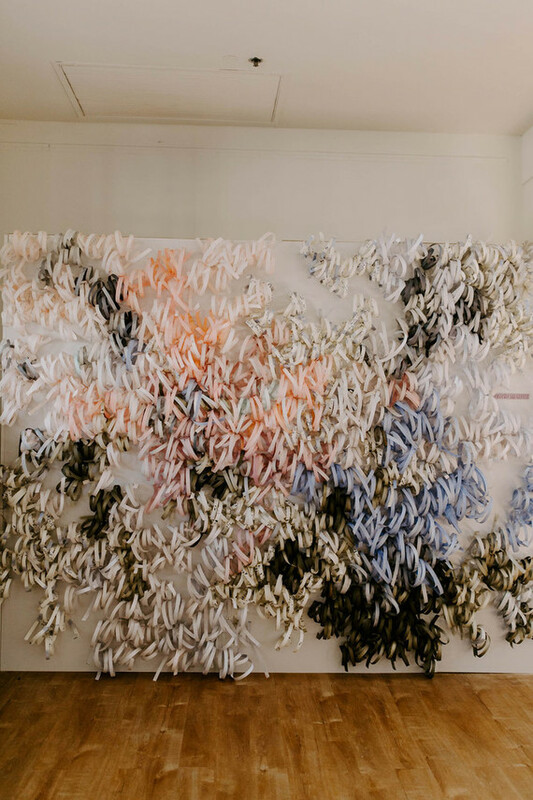 Each piece on Ashley Renuart‘s installation was watercolor painted, curled, and attached to the wall. 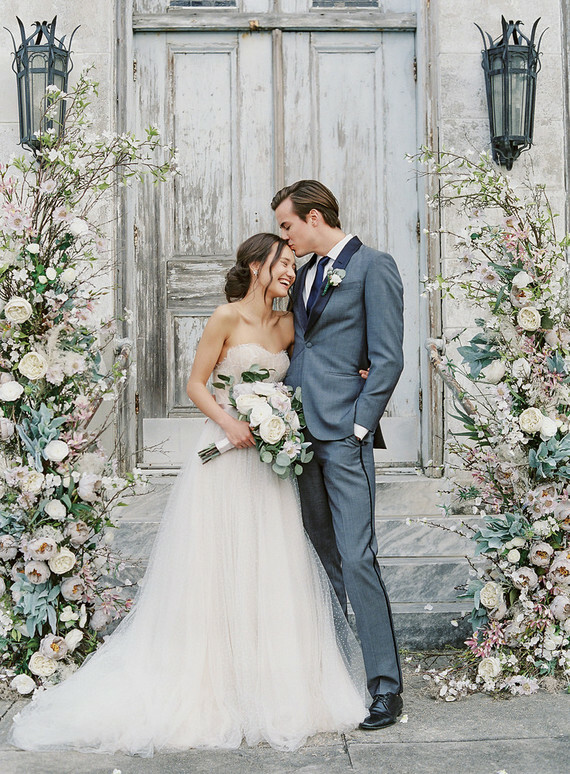 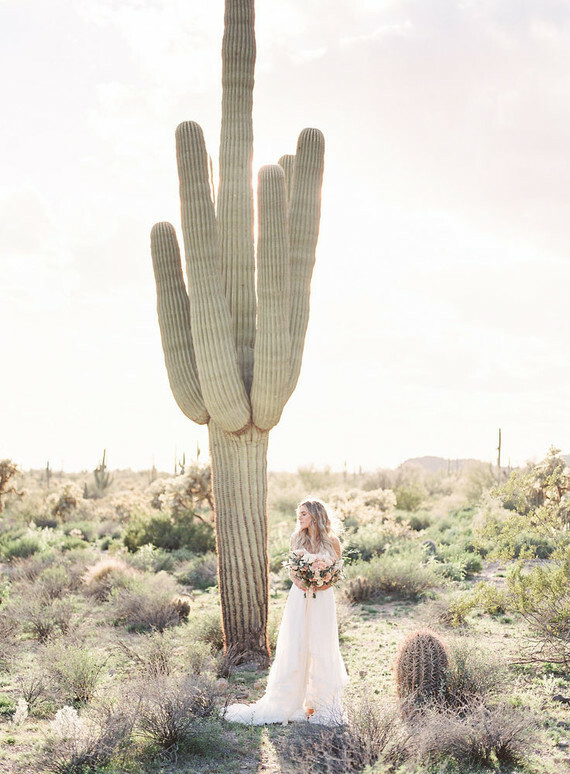 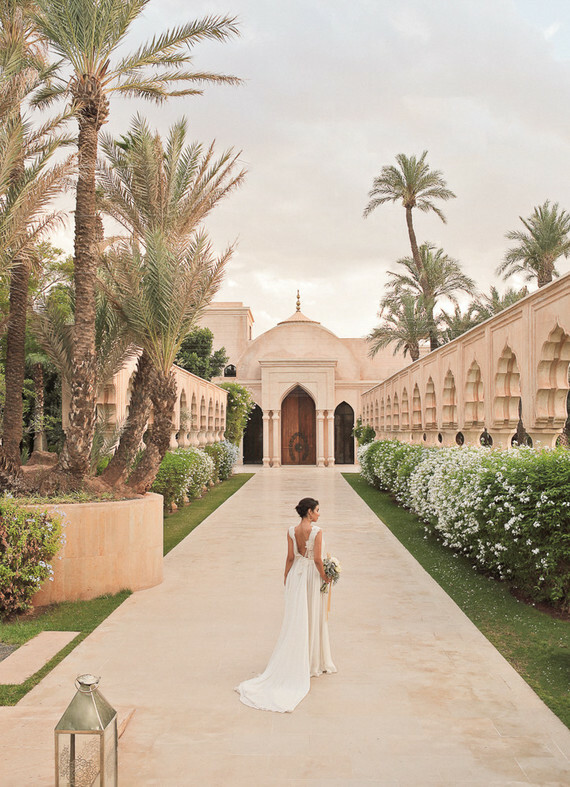 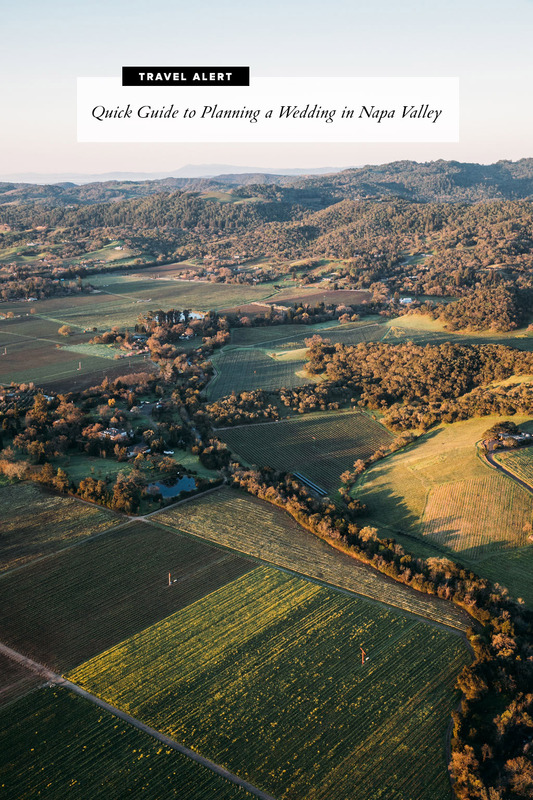 Can you imagine this ceremony backdrop?! 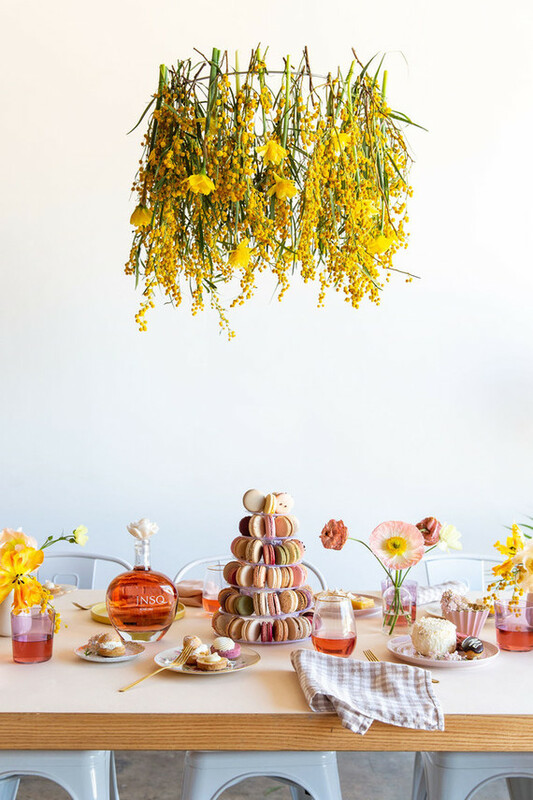 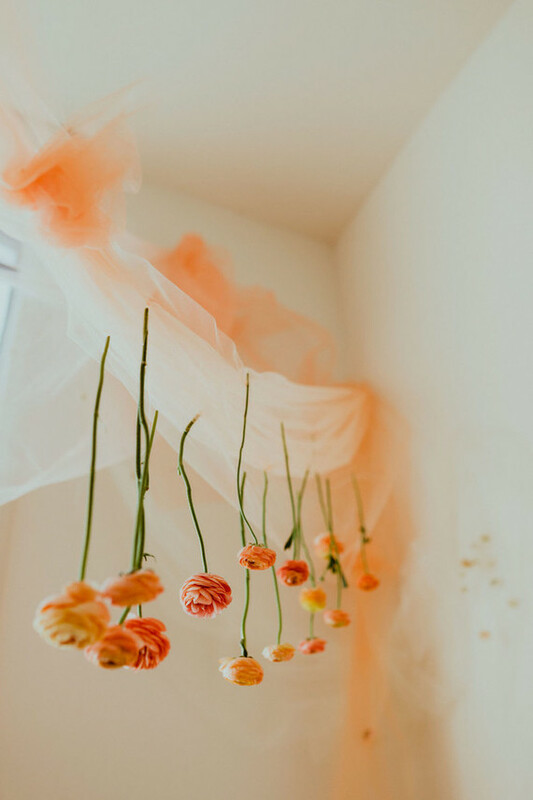 Love the “Tulle Dreamland” created by the ladies of The Dress Theory San Diego and floral designer, Siren Floral Co. 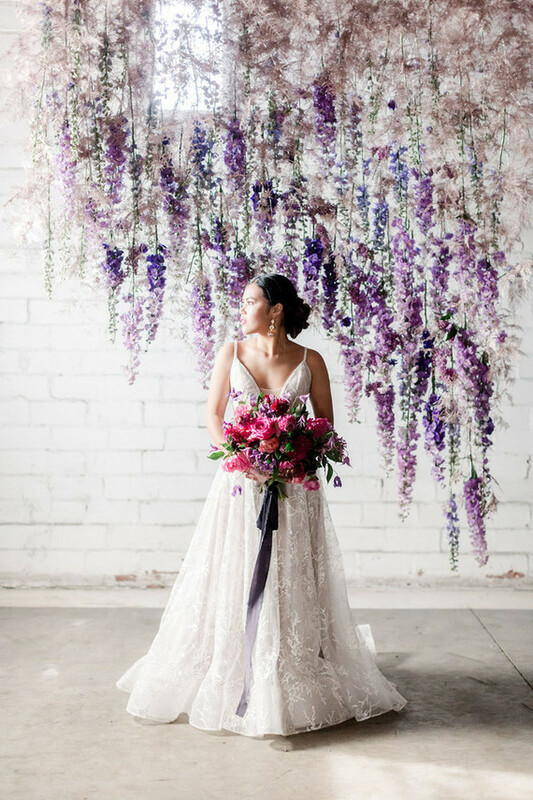 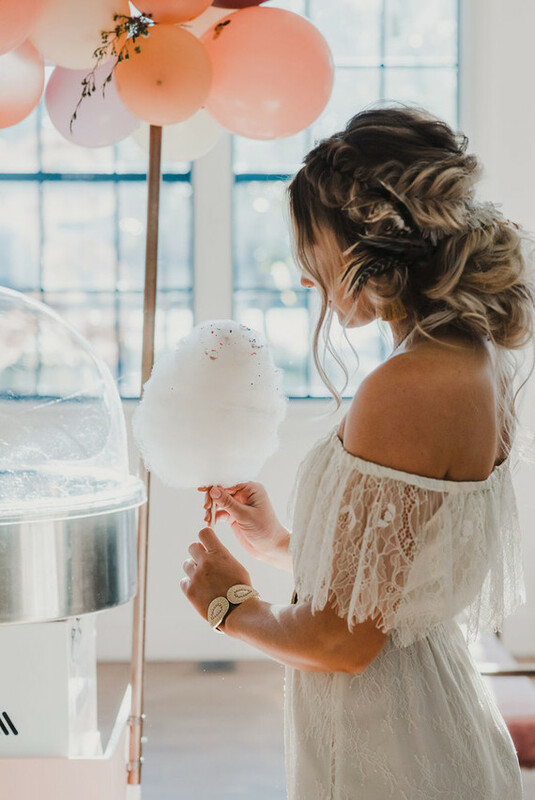 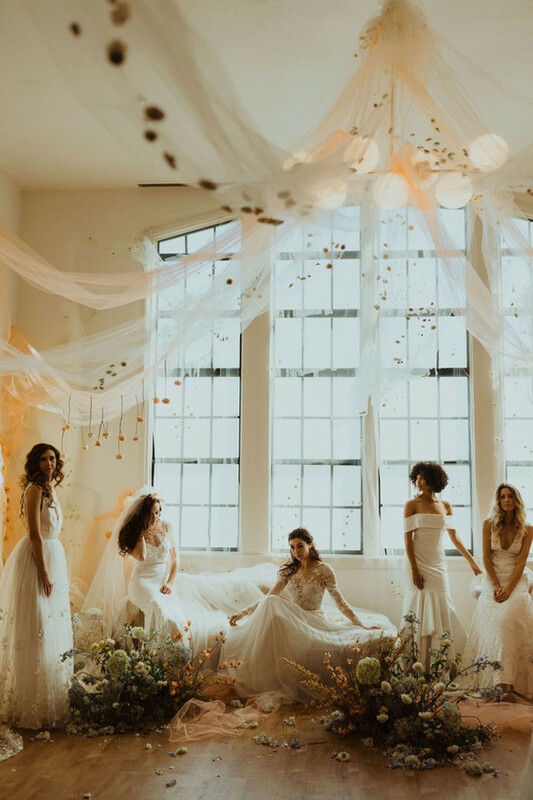 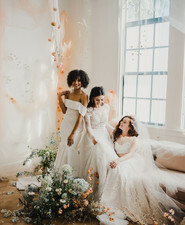 The entire Bridal Suite of Bldg 177 was transformed by the fluffy tulle clouds hanging from the ceiling with flowers sprinkled throughout. 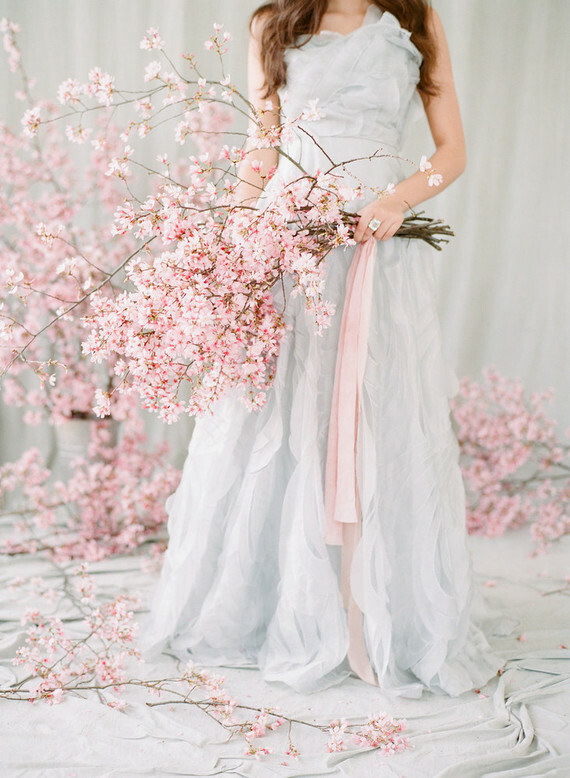 Hopefully this is just the start of the tulle comeback?! 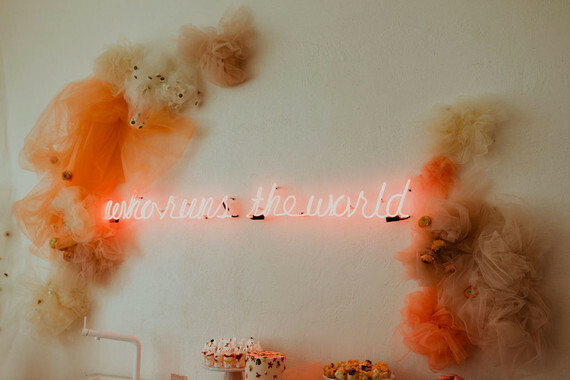 Gaahh. 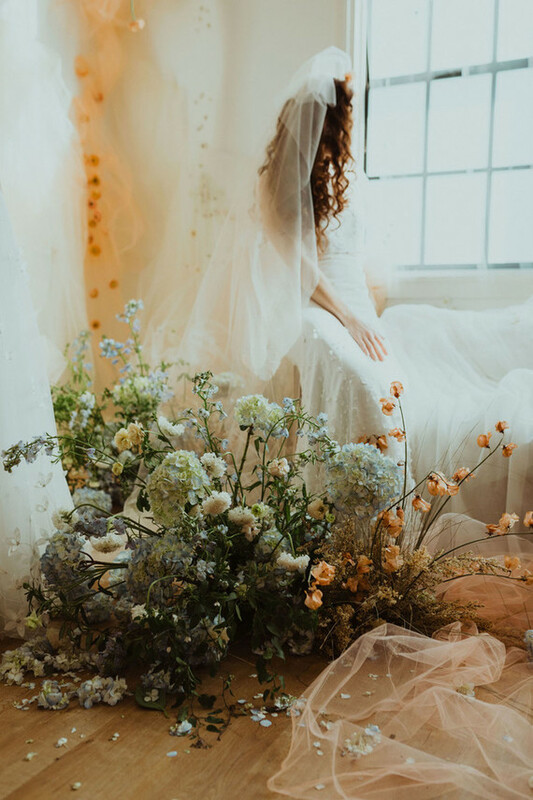 So dreamy. 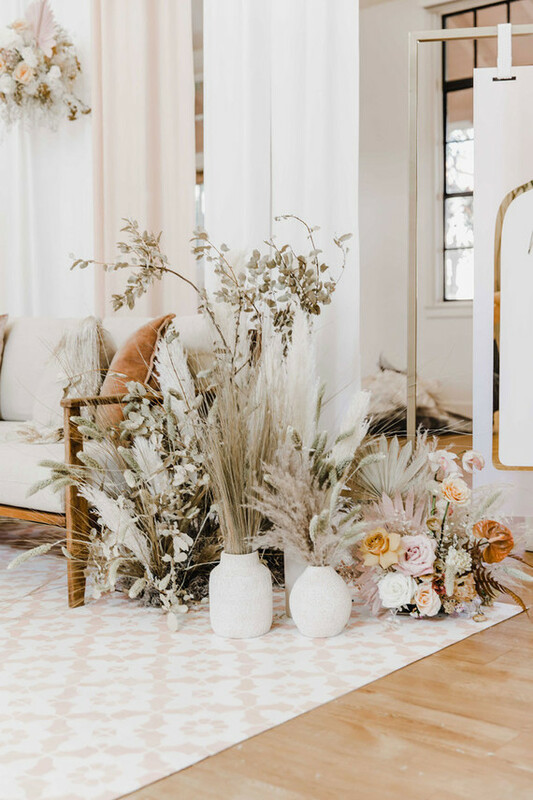 Just when we thought we’d seen all things modern boho, too. 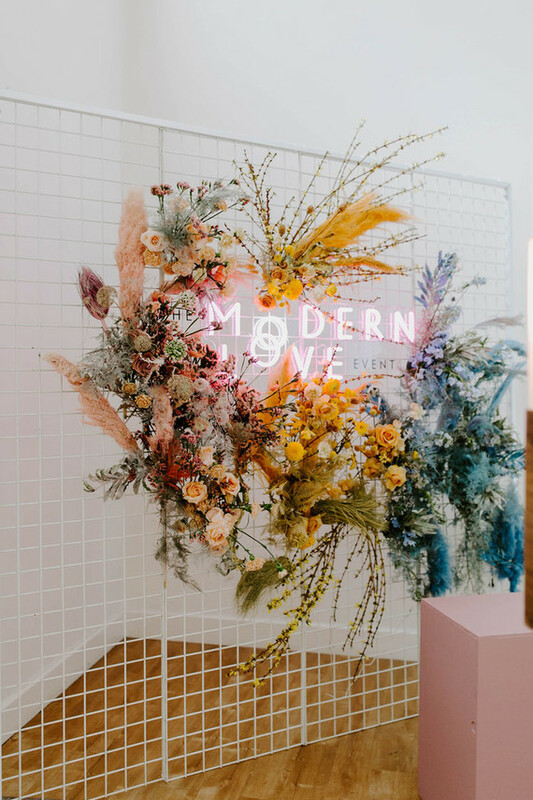 Check out all the talents below, and once again if you’re in Seattle, sign up for Modern Love Event on April 6th.